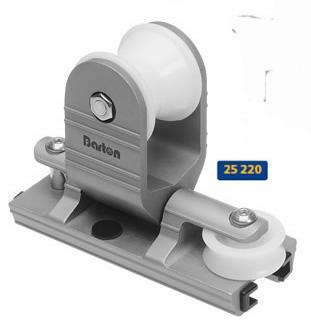 Plain bearing genoa cars, a popular range of genoa cars designed to run on 25mm (1") 'T' track. Manufactured from high quality marine grade aluminium and finished with our unique 'Spectro' grey anodised finish for added protection. Feature moulded nylon inserts to ensure free, smooth running under load and prevent damage to finish or potential corrosion.